Determining what the best sleep aid is for you could mean trying a few different things to see which one is the most effective. Choices for sleep aids vary from over the counter medications, prescription sleeping pills, cognitive behavior therapy, or CBT, and natural sleep aids. Let's take a look at the benefits and drawbacks of each sleep aid. You've heard of antihistamines, right? That's the main ingredient you will find in this type of sleep aid. These types of medications work by inhibiting the histamine in the brain, which means you sleep more soundly. The drawbacks of this type of sleep aid may very well outweigh the benefits. Side effects can include: fogginess, deep fatigue, dizzy spells, headache, nausea and vomiting, constipation, dry mouth, dry cough and more. Some OTC sleep aids can actually cause liver damage if used consistently for longer than three months at a time. Some people get addicted and can't sleep without the pills. It's possible these pills could interfere with other medications. It's also possible and likely that the effectiveness of the pills will lessen over time, which means you will have to find another way to sleep. Note: pregnant women should never take OTC sleep aids! Prescribed by a physician, this type of sleep aid is recommended only for short-term use simply to get a few good nights of sleep. These are typically stronger than the OTC sleep medications. This therapy targets the cause of insomnia rather than masking or ignoring it. Some physicians will prescribe sleeping pills in addition to CBT; many people find they don't need the pills once they realize why they're not sleeping. CBT involves seeing a medical professional who will talk to you about your sleep patterns, conduct a few tests, and then help you figure out what to do to help you sleep more soundly. One of the biggest drawbacks to cognitive behavioral therapy is that some people are uncomfortable talking about their problems or issues. The result is that symptoms could be misdiagnosed and the root problem causing the insomnia may not be discovered. The other drawback for some people is that several visits are required in order to notice and enjoy real differences in sleep patterns. Natural Sleep Aids - The Best Sleep Aid? Natural sleep aids could very well be the best option of all. These include natural herbs, Tryptophan, L-tryptophan or melatonin. Taking herbs might mean you drink chamomile tea or take a number of other supplements such as valerian root, passionflower, lemon balm, kava kava, St. John's Wort, or lavender. Valerian seems to be very effective, but it can also have negative side effects when taken in high dosages. Melatonin can be taken in pill form to help calm the system enough to sleep. Tryptophan and L-tryptophan can be taken to help the body to sleep, but unfortunately research is sketchy as to whether or not this is a truly effective sleep aid. They're not effective for everyone and some may take a long time to really kick in and work well. It's important to get your sleep, but it may be that just one approach is not enough. 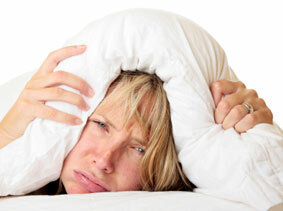 Many times it is a lifestyle change that is the best sleep aid for insomnia.